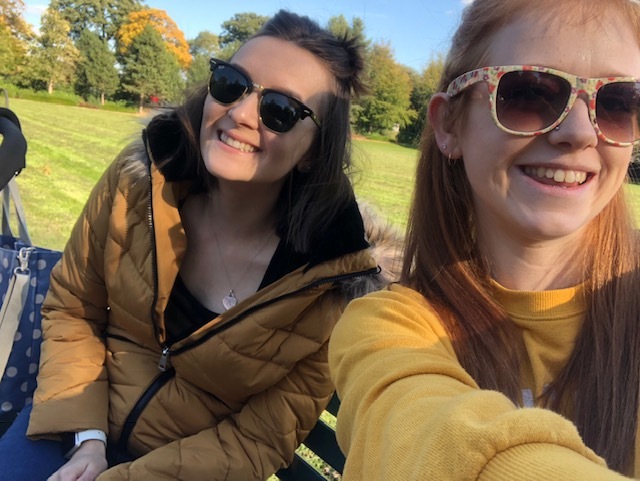 I thought I'd write a post about how I came to meet my lovely friend Laura, and our little adventure when we met up for the first time! I had met Laura a few months ago, but by meeting I mean online. I had recently started to share my blog (eek!) and I began using Twitter more to try and build my social media. That's where Laura comes in. She was so welcoming to me when I joined the mummy blogging community, and I'm thankful for it - you can find Laura's blog here. Since then, we pretty much talk every day as both of our girls are similar in age. After talking for so long, and getting to know each other, it was nice to have someone to talk to that just 'gets it'. Sometimes being at home can get lonely, but having someone at the other end of the phone can be just what I need, especially if my day isn't going to plan! Anyway, we just knew that we wanted to meet up properly. So we did! We had already booked into the diary that we were going to do a family day out with our partners and babies, but that was a few weeks away. One day, we just spontaneously decided to meet up - aren't spontaneous plans the best kind? We had decided to meet up in Leamington Spa. Max had taken me there before, so I felt confident that I knew my bearings well enough to manoeuvre our way around for the day. I was, of course, nervous. I get nervous meeting new people anyway, but as soon as we had met up, it was as if we had known each other for years. We ended up doing some shopping, grabbing some lunch and hanging out in one of the lovely parks in Leamington. 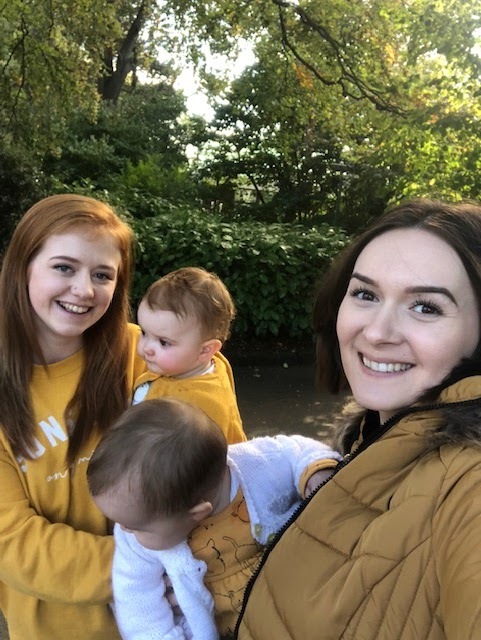 The weather was perfect, and we all managed to colour co-ordinate (babies included!). Have you ever met up with someone you met online? You can follow Laura and Emily's adventures over at Laura's blog, or you can find her on Instagram and Twitter.